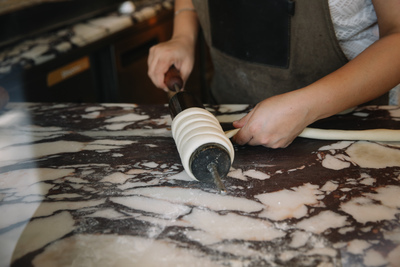 Surry Hills is a modern inner-city suburb that proudly showcases its shady past, its cultural diversity and of course, its range of delicious food and drink. 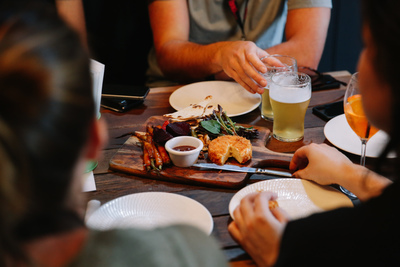 Located just minutes away from the Sydney CBD, Surry Hills serves more than the city’s best brunches. 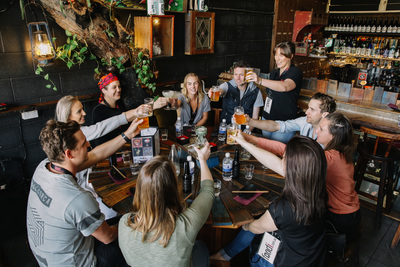 This energetic neighbourhood has the highest concentration of dining spots in Sydney, and is filled with bars, restaurants, food stores, and cafes. 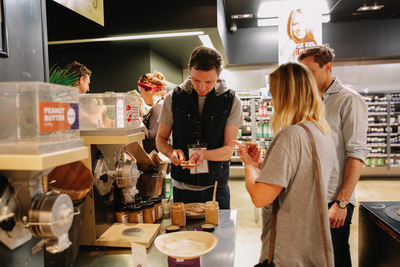 This tour will lead you through the tangle of quaint terrace houses, past the galleries, studios, boutiques and theatres, and introduce you to the tell revolution of Surry Hills, from an overpopulated slum, to the inviting village atmosphere it is today. 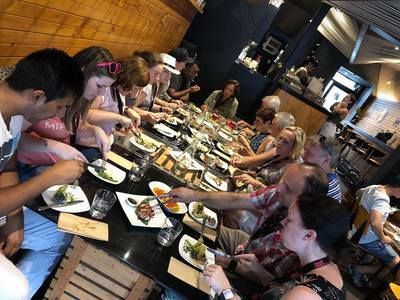 You will visit one of the oldest pubs still standing in Surry Hills, take a step into Cat Alley and taste a selection of gourmet delights, including vegetarian Asian fusion, whilst learning the story of each venue and the cuisine behind them. The tour price covers all food samples. Sit-down breaks will be offered, with opportunities to purchase drinks at the finale of the tour, in a fabulous licensed venue. The meeting point is a short walk from transport at Central Station. 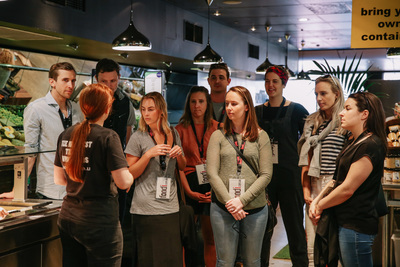 Due to the nature and policies of the licensed venues on this tour, Surry Hills Food Safari is not suitable for persons under the age of 18. Ivy is a very well informed guide, we thoroughly enjoyed her tour. It was a very enjoyable event. Thanks Siobhan. Variety of venues and food was good. The venue owners were very accommodating and generous with their food which was delicious. Cat Alley was fun and interesting - something different about the neighbourhood. Great afternoon. Our group of 6 all thoroughly enjoyed it! Karyn was great, very informative, patient and knowledgeable. Really lovely, relaxed and interesting tour with delicious food! Karen was great! We had a nice afternoon wandering around Surry Hills with our very informative host. I would definitely recommend the tour. Love these events - great opportunity to explore the suburbs and taste the food from various eateries. Love walking and trying out different types of food that I would not normally order. Great way to spend time with friends on this tour. Karyn did an excellent job as a tour leader. Why, she does a great storyteller history of places that are a hidden gem that we never knew about. Also, the food samples were superb! She talks of why this venue are great to eat. This is my 2nd foodi tour & enjoyed them both. Looking forward to the next tour. Recommend anyone who is a food lover! Karyn, is a fantastic guide, very enthusiastic and knowledgeable, we all had a great time, 4 and a bit hours went so quickly. A very interesting tour of the Surry Hills area and our guide Karyn was excellent. The staff at all the venues were also very informative and friendly. I would recommend Foodi to my friends for a fun day out. We had an absolutely lovely time, the tour was really enjoyable and Karyn was terrific. 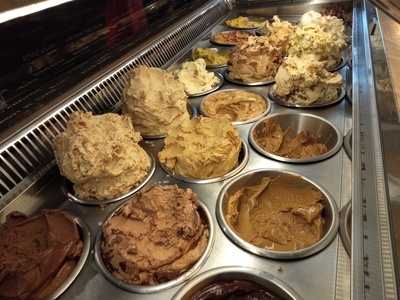 Learned heaps about Surry Hills and thoroughly enjoyed the delicious treats along the way. I really enjoyed the tour. Learnt lots of interesting facts. Karyn was great. Food was nice. It was an unqualified success as far as we were concerned. We loved the Surry Hills setting because that is a part of Sydney totally unknown to us and appreciated the variety of venues and experiences offered. Nichola's pleasant personality, knowledge, passion and desire to share her favourite suburb made the experience all the more enjoyable. My whole group really enjoyed the experience. The food and venues were varied. There was plenty of tastings. Sharon was an excellent guide and provided us with interesting facts. I have recommended it to others already. Great way to see different restaurants around that we didn't know existed. And a bit of history included. Sharon was an excellent guide. With a nice personality. We expected more tasting of foods so were a little disappointed.